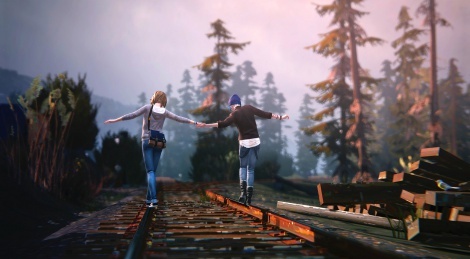 Out of Time, the second episode of DONTNod's Life is Strange will be released on March 24. Meanwhile you can get a glimpse of it with the launch trailer and a few screens shared by Square Enix. I still need to finish Ep.1, guess it's better to wait for 24'th now. gonna download... on a tuesday! The first episode was pretty decent. Look forward to the next episode. It looks even better than E1 from the trailer. I was at EGX Rezzed when they announced the release date and showed gameplay from episode 2. Can't wait to play it, already one of my favourite games of the year. 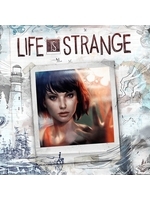 Neogaf spoiled this game for me in the topic title "Life Is Strange |OT| Rewinder Me", I didn't want to know that the game is about rewinding, I wanted to be surprised, now I'm not interested to continue the game, maybe I'm more sensitive, but that's me. Some posters in Neogaf are stupid, this is not the first time they spoil a game in the topic title. You realise you just did the same thing for anyone here who hasn't played it, right? Idiot. Lol. This is the 2nd episode, and what can I do, I want to post this and I know some posters from Neogaf read here, please stop spoiling games in the topic title, and the funny thing is that the stupid topic creator is asking everyone to not spoil the story.